Six floors, three buildings and top-notch classrooms and facilities – The McCombs School of Business has been the home of over 6,000 students. Personally, it is the only place on-campus where I spend my time: for classes, group projects, organizational meetings, studying, eating or just socializing with friends. I would like to open the doors of the business school and give you a “mini tour” of the buildings’ most prominent highlights. Welcome to my crib! 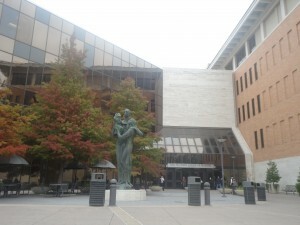 Situated by the 21st Street entrance of the business school, “The Family Group” is a sculpture designed by Charles Umlauf. Umlauf had a vision that focused on family; “the foundation upon which the world of business is built.” The plaza where the sculpture is located also has several tables and chairs where students can study or wait before their classes start. One of the most prominent facilities in the business school is the AIM Investment Center. 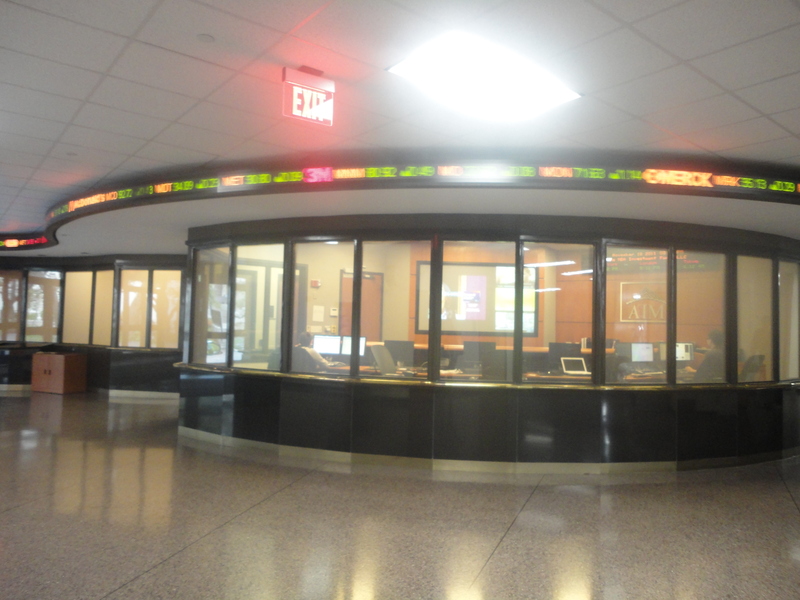 With the LED ticker constantly running overhead, the facility provides business students the latest updates on current stock prices. 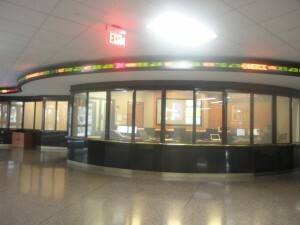 The AIM Investment Center is also a part of the EDS Financial Trading and Technology Center, which is dedicated to helping MBA students and undergraduate finance majors obtain real-world experience in managing investment portfolios and developing client relationships. 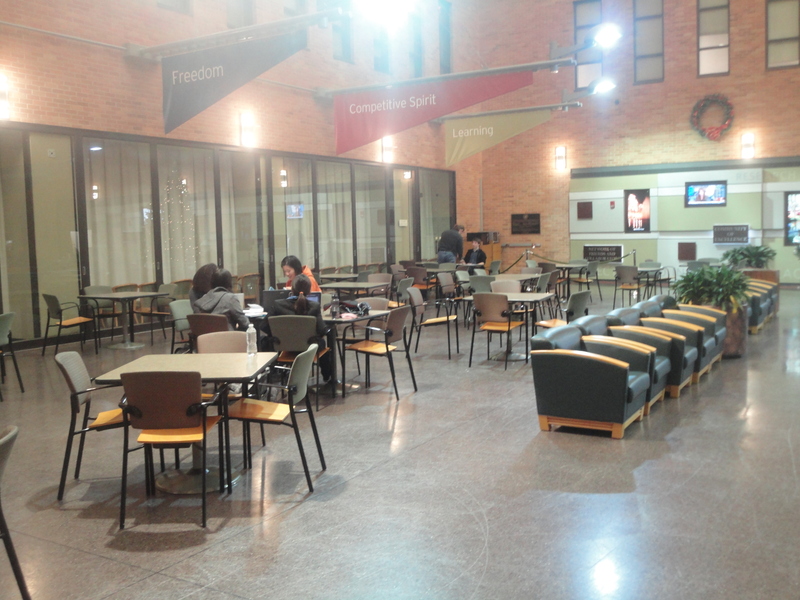 The Atrium is also a favorite spot for students to study, eat and meet for group projects. The Atrium is illuminated by a giant skylight which is very refreshing. It is also a venue for various business events such as career fairs, conferences and formal networking events. O’s Café is also conveniently located in the Atrium so that students can quickly grab a bite in between classes or when studying. MPA students do not have to call 911 for academic and career advising emergencies. Conveniently located on the fourth floor of the business school, the MPA Program Office houses the program director, academic advisors and career counselors of MPA students. Students can schedule 30-miunte appointments with counselors or go to their walk-in advising hours. 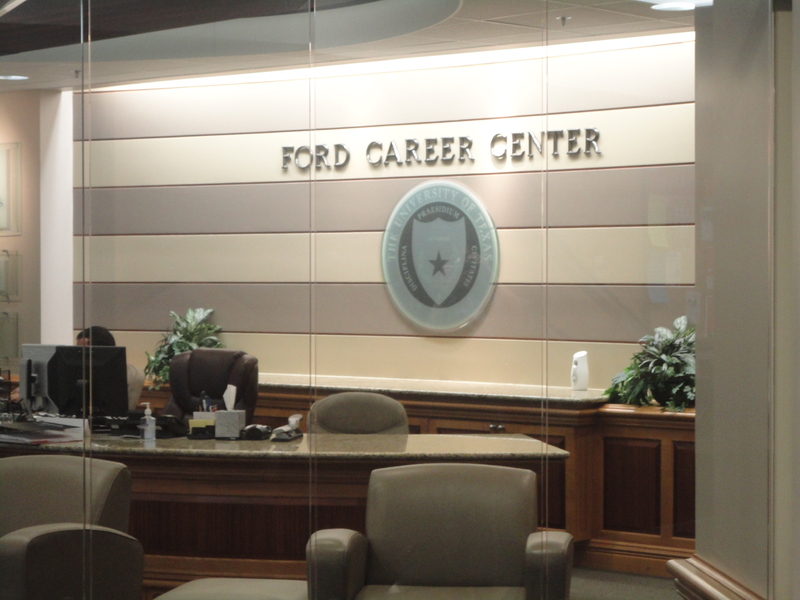 You know it is recruiting season when you see business students dressed in suits crowding in The Ford Career Center. The facility has interview suites where on-campus interviews are conducted. Mock interviews, which give students firsthand experience of the real interview process, are also done in the Ford Career Center. Students check with the front desk to determine their suite number and swipe in their IDs to confirm their attendance. 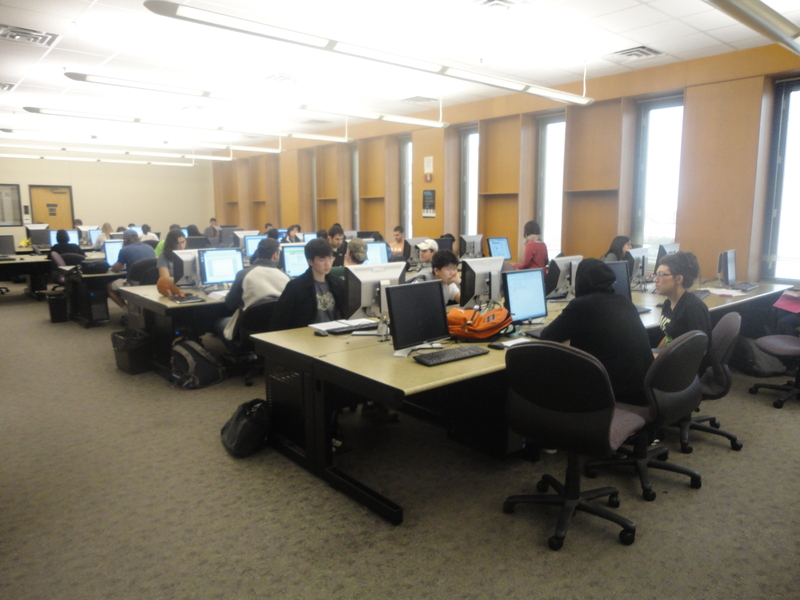 The most popular study spots at McCombs are the Reliant Productivity Center and the AIM Reading Room. 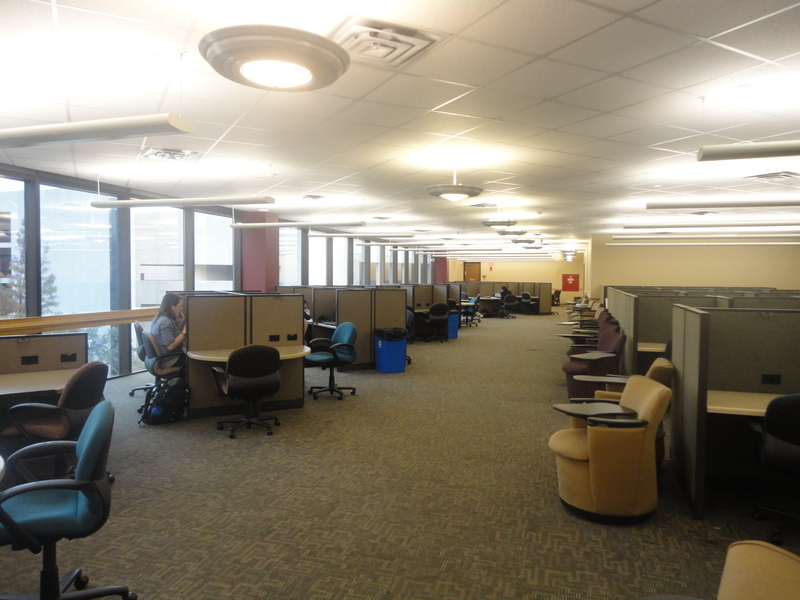 Both rooms provide a quiet environment with individual booths for students to study. The Reliant Productive Center provides booths with Ethernet and electric plugs so that students can use laptops without worrying about recharging their batteries. The Reliant Productivity Center also has group rooms equipped with TV screens for studying or preparing for team projects and presentations. These study rooms are open almost 24/7, which is very convenient. Lastly, to assure the exclusivity of the Reliant room to business students, users swap their IDs to enter the room. The Millenium Lab houses over a hundred computer workstations and has been a popular place to do homework, research and check e-mails. The Millenium Lab also has a team lab area with each station having two computer monitors, so that students can use them for group projects and/or presentations. 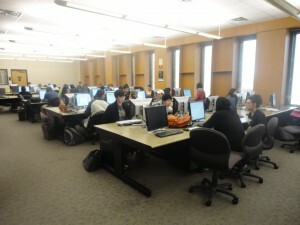 Students can reserve the team workstations online to assure that they have computers to utilize at the time their group meets. There are many more facilities within the business school to explore. But I hope you enjoyed the quick “mini tour” of the school 6,000 other students and I call home! I really enjoyed this post–I think it was a great idea to include pictures! Thanks, Karen! 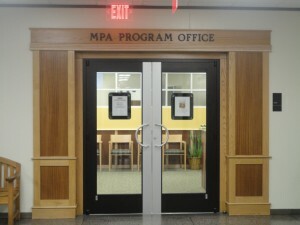 I think a picture of the MPA student lounge would also be a nice picture to add, too. This is a great tour! Dr. Mills.